That's no fun, hope you are better Blondie! feel better blondie!! and no screaming at the monitor this week till your better!! I was wondering if you could take a good picture of Michelle (her wall photo is crap) and give her a nose job. Remove the WC Fields honker and put on a nice little nose. Seriously, I think she would be more beautiful. i think at times michele reminds me of sandra bullock! 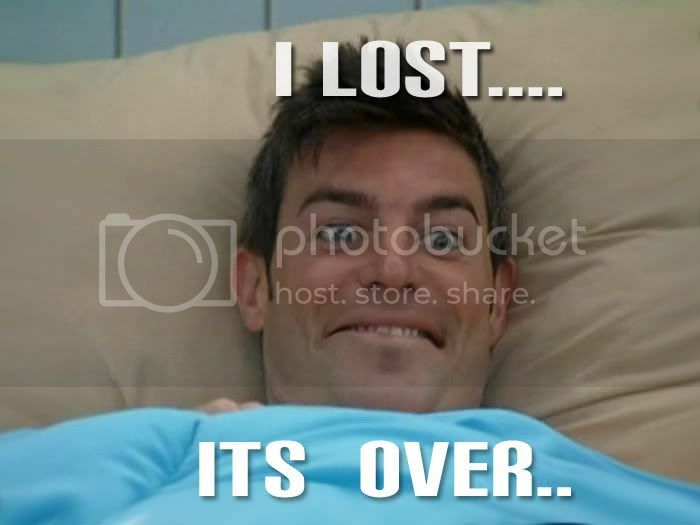 Great expression on Jeff's face. Thanks EarthDog! Could someone put nats face on jessies body? Got one for ya, if you have time. The final 3 as Cinderella and her wicked step-sisters! 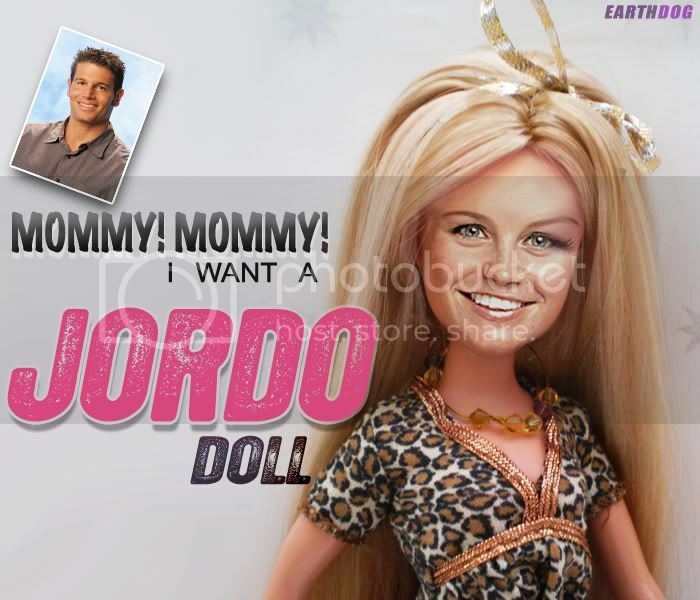 Now that is one cute doll! Watch out, I will chop you!!! Lord, Keep your arm around my shoulder and your hand over my mouth...AMEN..!! So glad you are okay...I was getting worried!! Don't you want to do the TAR racers?? 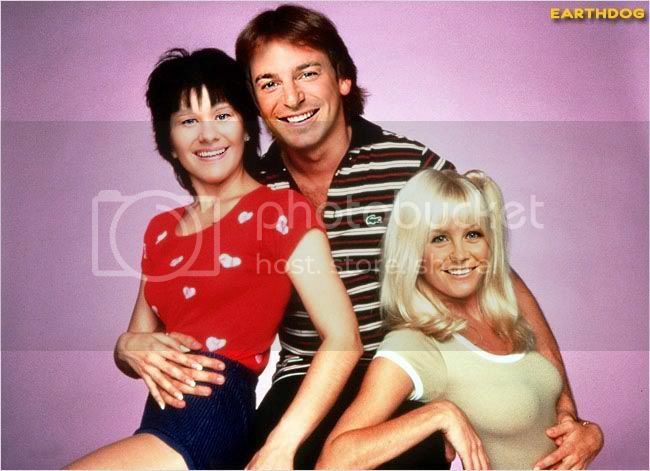 I just heard a live interview with JJ in Vegas...and Jeff says he just saw a chop of them as Three's Company and LOVED IT!! Thought it was AWESOME!! Here is the chop we have, Earthdog did it! jeff saw this threes company chop awsome blondie..